We had a play date arranged today, which meant that I needed to be organised to pack sufficient snacks so that my two didn’t eat our host’s weekly fruit supplies. 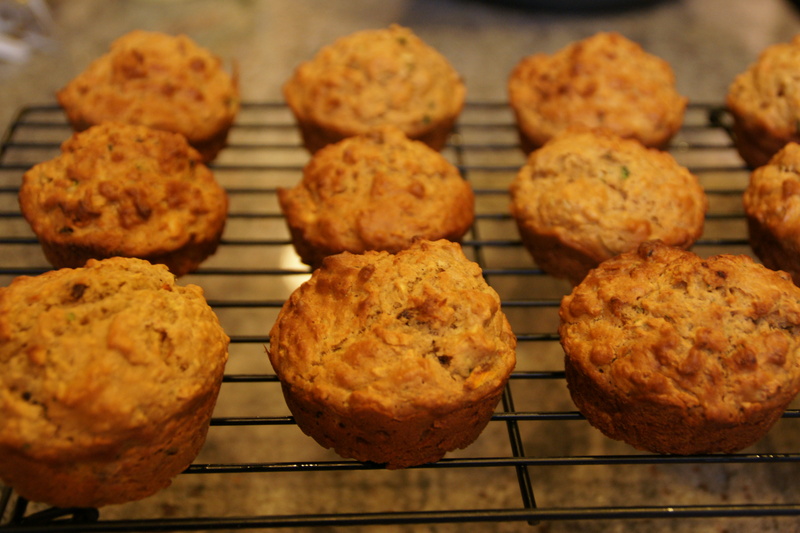 In an effort to include more vegetables in their morning tea rations, I made carrot, zucchini, apple and date muffins. I didn’t invent the recipe, and it’s nothing spectacular but it worked, so I’m posting it here for my own reference. I chopped all the fruit and vegetables in the Thermomix then added everything else and mixed it all together. 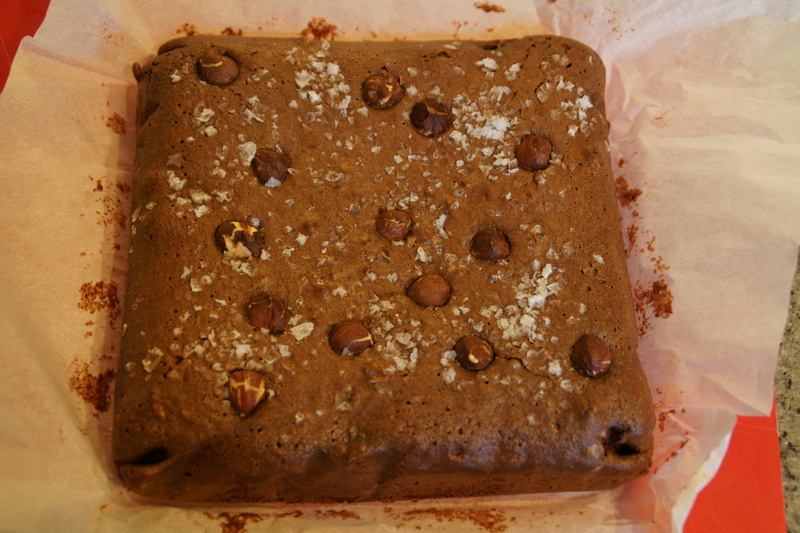 Then I put it in muffin tins and baked it for about 20 – 25 minutes. 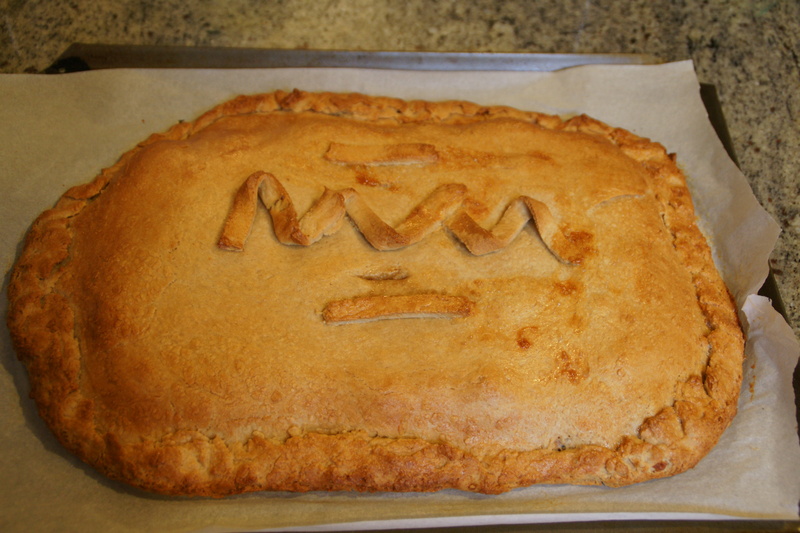 (I realise my prose is quite lyrical, so hopefully you can feel the raw emotion behind the baking). I’m rating this as a success as, even though it did have honey, it was basically healthy and was happily eaten by both small people and their date, despite the frequent flecks of green. I missed the last challenge – filled pastry swans I believe – so I felt compelled to give this one a shot. 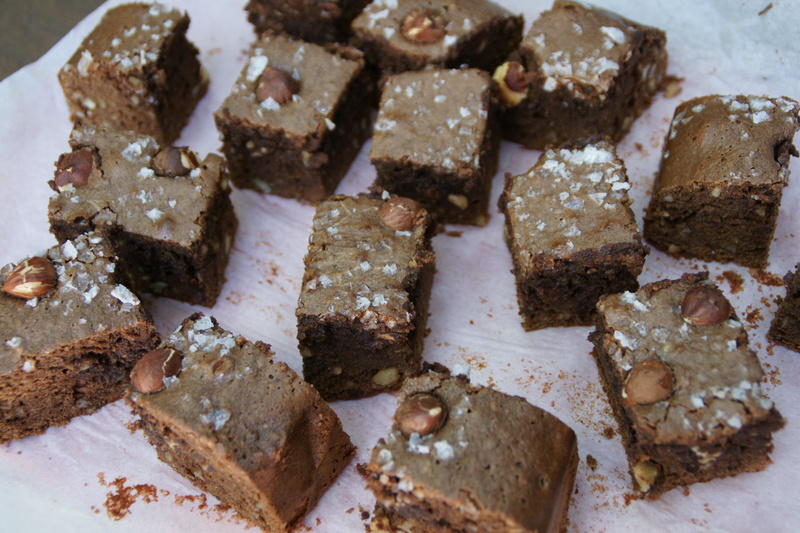 I had also bought some khorasan flour from Naturally Better Foods and was keen to use it in something different. I had to google khorasan (also known as Kamut) to find out what it is but, thanks to Wikipedia, can advise that it is a low-gluten (but not gluten free) ancient wheat grain with high protein and a nutty flavour. I’ve been using it in crackers and other breads and have found that it can basically replace standard flour with the addition of more water/moisture. I also had a fridge full of leafy green vegetables demanding attention, so I decided to incorporate them into the challenge too. 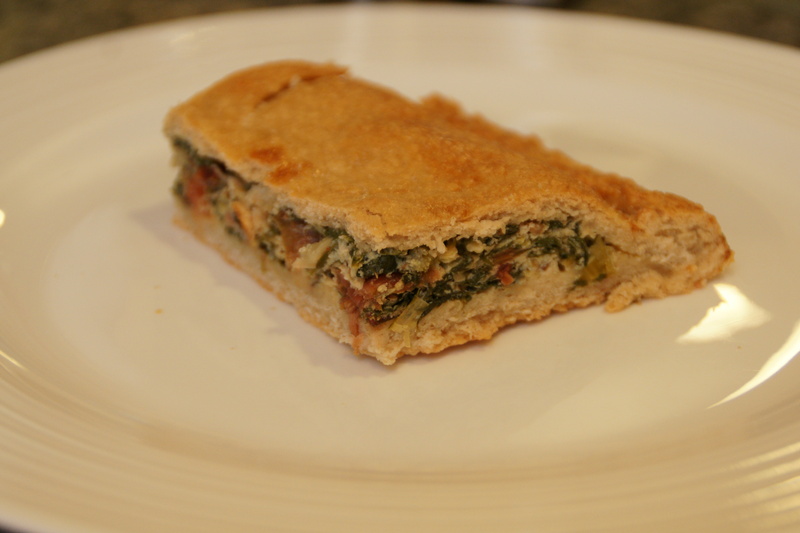 As an empanada is basically a stuffed bread or pastry dough, I decided to make a kale, leek, chard and ricotta pie. Because that’s going to appeal to the small people, right? Being lazy, I just chucked it all into the Thermomix, mixed it and then turned it to the knead function. 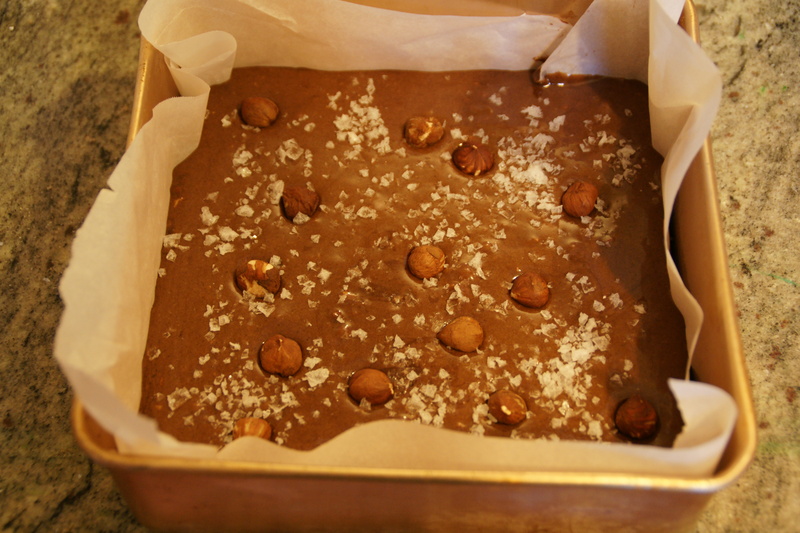 I found that I kept having to add water to try and bring it together – perhaps the khorasan is a thirsty flour, like coconut flour? I’m not sure how much I added before it formed a cohesive dough, but it eventually did. I then left it to rise for about half an hour. Not surprisingly, given the amount of yeast involved, it rose pretty dramatically. In the meantime, I sauteed a leek, 2 cloves of garlic and a few rashes of bacon until softened, then added the chopped kale and chard until that softened. I then added two eggs, some grated tasty cheese and some drained low fat ricotta, along with some salt and pepper. 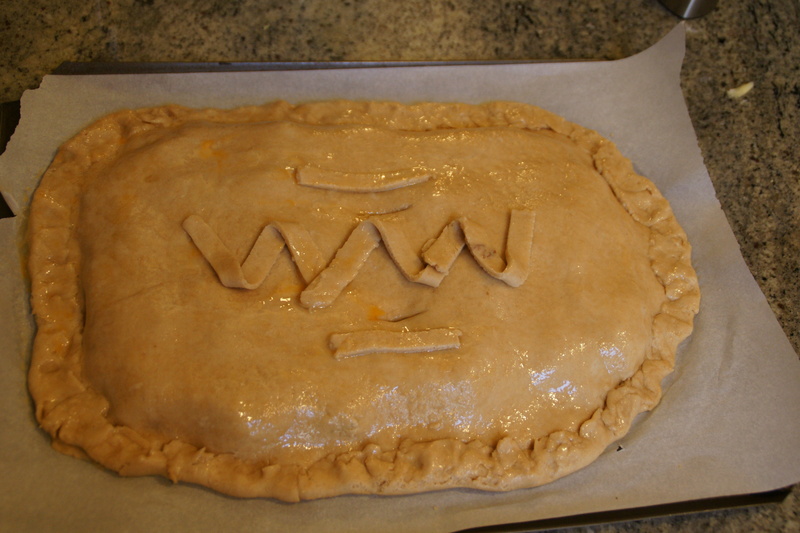 I let this cool before making the empanada, as apparently adding hot filling makes the base soggy. 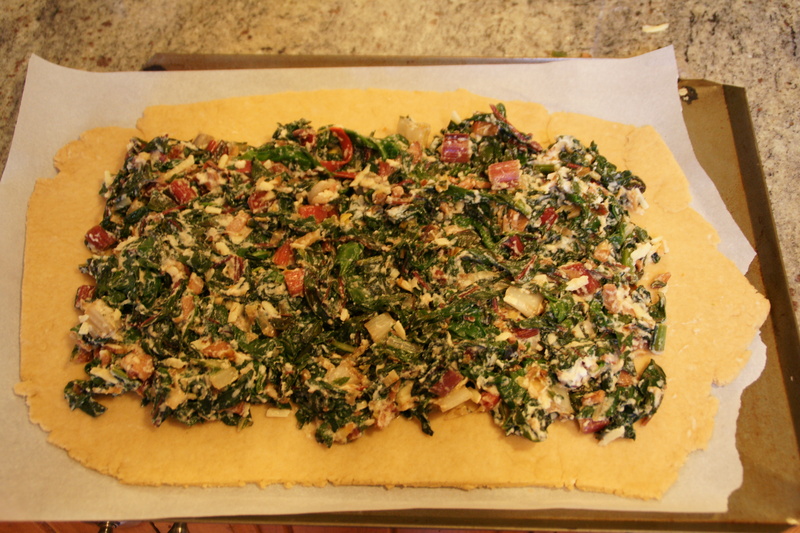 I then split the dough into two and rolled one half out until it was the size of my baking tray. I then spread the cooled vegetable mixture on top. I rolled the other half of the dough out and put it on top, then attempted to make an attractive twisty seal around the edge. I’ll let you judge the success of that attempt yourself. It got the anticipated response from the 4 year old (Mummy, I DO NOT like this) but she did at least try it. And I liked it. The khorasan flour seemed to give it a nice sourdough taste and it felt healthy. I think it would make good picnic fare. All in all, I’m glad I tried it.